Allan has experience in strategic planning, business operations, corporate governance, financial management and multi-level stakeholder and people resource management in listed global/national, privately owned SME, local and state government entities and membership based associations throughout the Asia Pacific region. He is on the Board’s Audit, Finance and Risk Committee, and the Remuneration Committee. 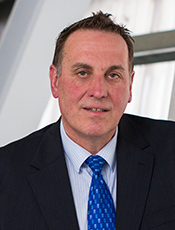 Allan holds positions as an Executive Committee Member of the Victorian TAFE Association (VTA), Chairman of the Australian Battery Industry Association, and as Treasurer of the Victorian Tree Industry Organisation. He is a past Treasurer of the Pony Club Association of Victoria – SMZ Division. He has knowledge and experience across a broad range of industry sectors, in particular, arboriculture and vegetation management, stored electrical energy, automotive, recycling and equestrian sports. He currently operates a consultancy and contract management business. Prior to this Allan was Managing Director of Exide Technologies – Asia Pacific and has held various senior finance management roles within the Exide Technologies Corporation and Pacific Dunlop Groups.